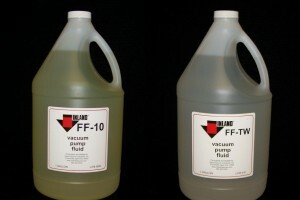 Inland Vacuum’s line of general purpose hydrocarbon fluids for mechanical pumps ensures that you have the right oil for your application and pump. Benefits of proper fluid selection include longer pump life and less backstreaming, which leads to a cleaner vacuum system and increased productivity. Invoil® 20 is the standard mechanical pump fluid used in applications involving corrosive or reactive gases. 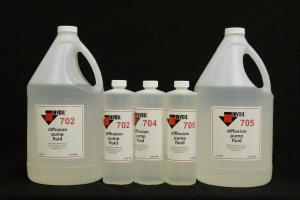 The fluid has been double-distilled to remove the majority of the light fractions present in all raw material feedstock. The removal of these fractions slows the degradation process and reduces the rate of sludge accumulation in the mechanical pump. Actual field use indicates that Invoil 20 tends to extend the useful service life of the fluid anywhere from 5 to 10 times that of standard hydrocarbon fluid. Invoil 20 can also be used as a diffusion pump fluid; this is a great advantage, allowing the user to establish a homogenous system and thus helps prevent any possible cross contamination. Inland 21 is used in mechanical pumps that are exposed to reactive or corrosive gases. The additives included in this fluid are designed to help resist oxidation and decomposition. Inland 21 also undergoes molecular distillation, ensuring good vapor pressure capabilities. The manufacturing process of Inland 33 and Inland 35 has removed components to enhance the oxidation resistance of the fluid to exhibit outstanding chemical and thermal stability. This process also provides a clear oil base virtually free of impurities and extends the life performance of the fluid. Inland 33 and Inland 35 can be used in corrosive applications involving increased temperatures. Inland 43 is a custom blended general purpose hydrocarbon fluid utilizing advanced feedstocks. 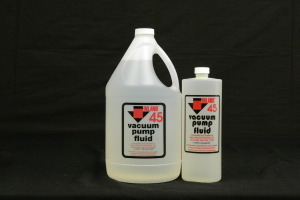 This rotary vane pump fluid is a lower cost alternative to molecularly distilled fluids. It is useful where frequent fluid changes cause large volumes of oils to be used. 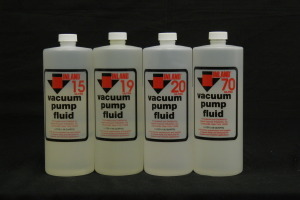 Inland 77 is a general purpose hydrocarbon fluid designed for use in rotary vane piston pumps. Its high viscosity provides the necessary lubrication and sealing required for piston pumps in non-corrosive applications. 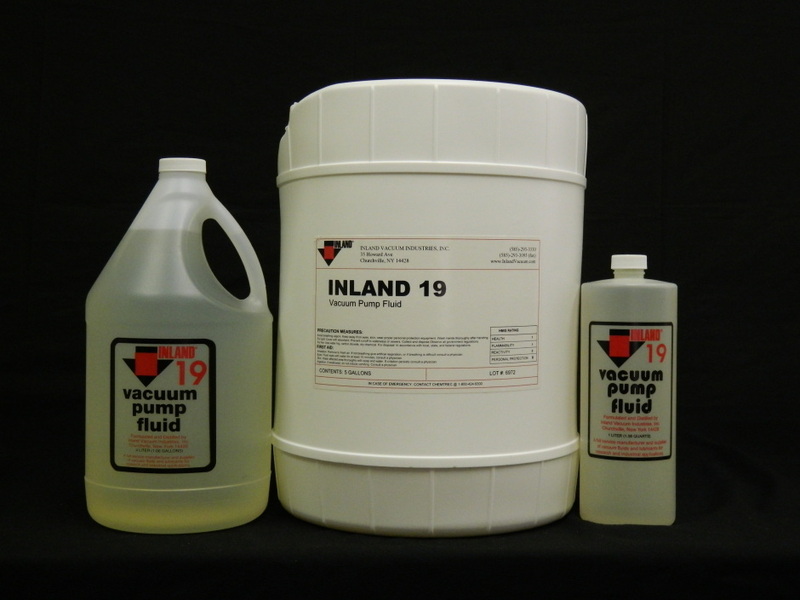 Inland 87 and Inland 97 are high viscosity hydrocarbon fluids formulated for large rotary piston pumps that cannot operate on low-viscosity fluids. They are not recommended for applications with high oxygen concentrations or corrosive materials.